Now with 256GB MicroSD card support. MicroSd card not included. It is important to purchase a good quality MicroSD card. Vantrue recommends the Samsung Evo and we also recommend the Sandisk Ultra A1. Other Sandisk SD cards do not work well with dash cameras. It is also important to buy from a reputable source because there are lots of counterfeit SD cards for sale online. If you would like help picking one out just ask. We have a limited stock of the Sandisk Ultra A1. 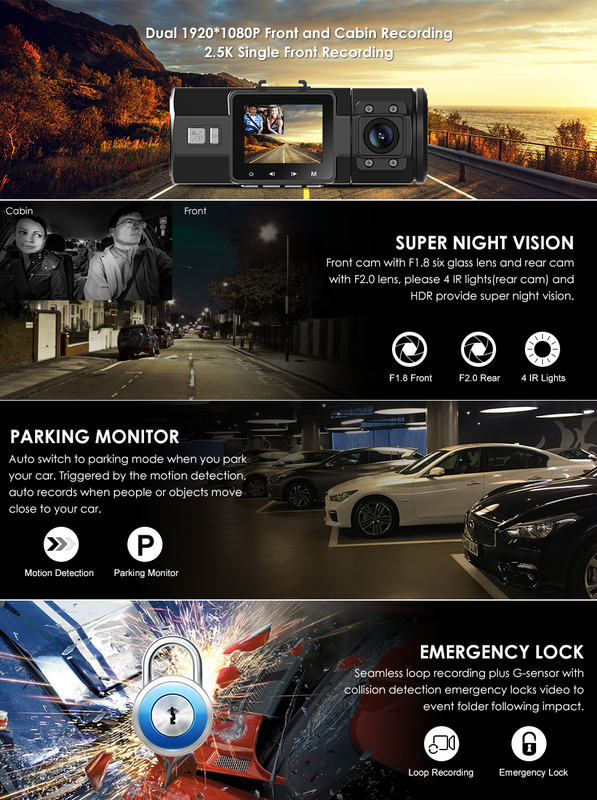 If you would like to purchase one click on the Vantrue Dashcams link to purchase.